Learn the principles of working with SpatialOS by adding simple features to a Unity multiplayer game. 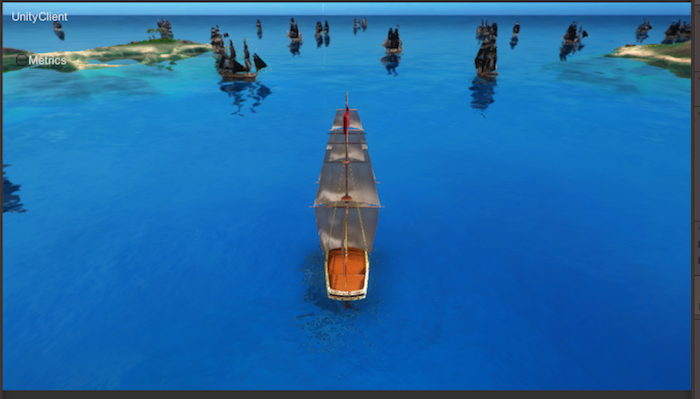 This tutorial, based on a pirate ship game, will teach you how to develop a game using SpatialOS and Unity. We’ve created the bare bones of a game for you to build on. It’s a simple world where players have pirate ships that can move about through the world, exploring the seas and navigating between islands. You’ll finish this tutorial with both a conceptual and practical understanding of how to use SpatialOS to build your own game. Begin the tutorial by starting the first lesson. If you have any trouble, please ask for help on the forums!